Rody | Gymnic - Ledraplastic S.p.A.
An evergreen in the toy category, Rody the hopping horse is great fun for children and an extraordinary support for the body movement! 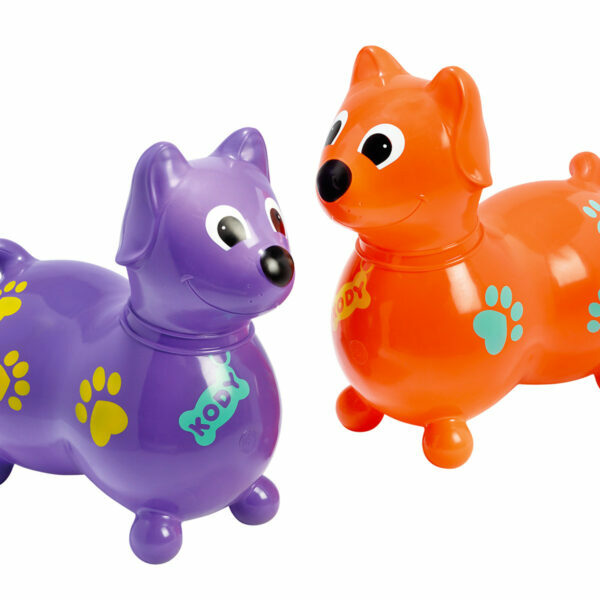 Rody helps your child develop balance, movement skills and coordination. Adopted in many nursery schools as a psychomotor tool, this inflatable ride-on toy stimulates group activities and relations between children providing a pleasant and calming entertainment. 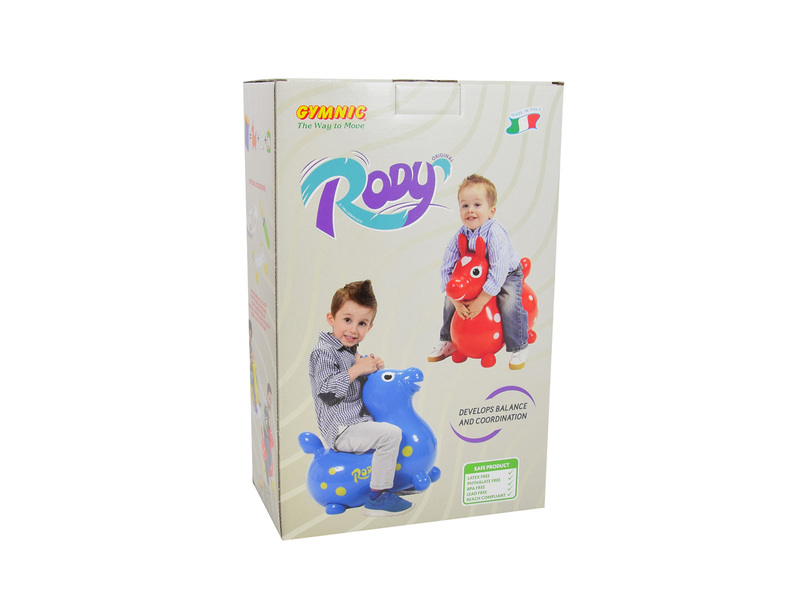 Since its first appearance on the market in 1984, Rody has been greatly appreciated by children thanks to its rounded design, its resiliency and softness. By applying the removable bases (not included) you can turn your Rody into a rocking or a wheeled horse! – Improves motor skills. 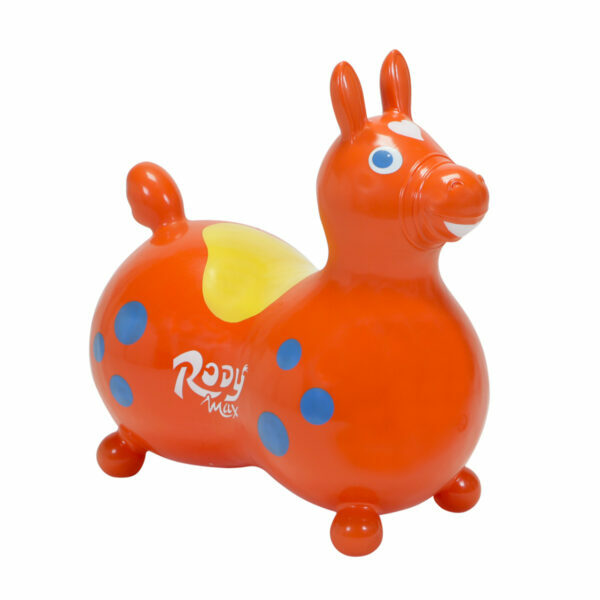 The Rody horse gives children playtime fun while building muscle and improving little one’s motor skills. Bouncing strengthens the leg muscles, while improving arm and grip function as the child holds onto Rody’s ears. Core strength builds as the rider moves to balance. – Unique design. 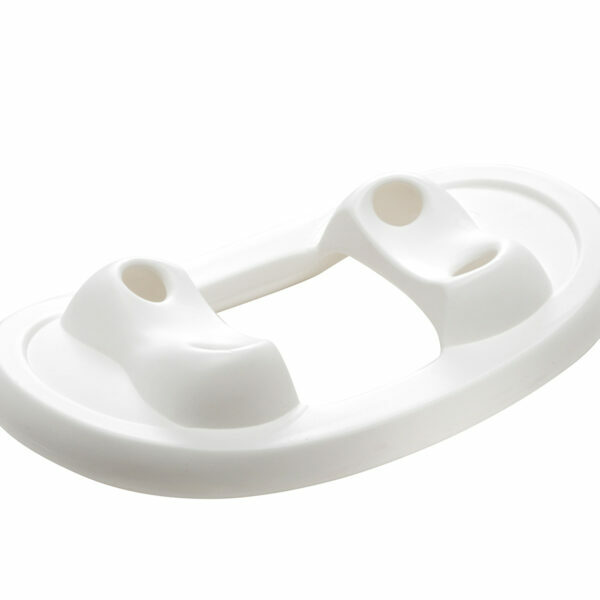 The rounded shape, designed by a merging of spheres, ensures ultimate bounce and safety. Its unique design results in the center being contoured, allowing a naturally balanced and comfortable seat for the rider. Furthermore, the rounded design together with its smiling expression make it a lovable character, which has an immediate appeal to children. – Material safety and superior bouncing performance. The material used, compliant with the most stringent European and US chemical regulations, is a perfect combination of strength, softness and elasticity in order to provide the best riding experience ever. – Versatile like no one. 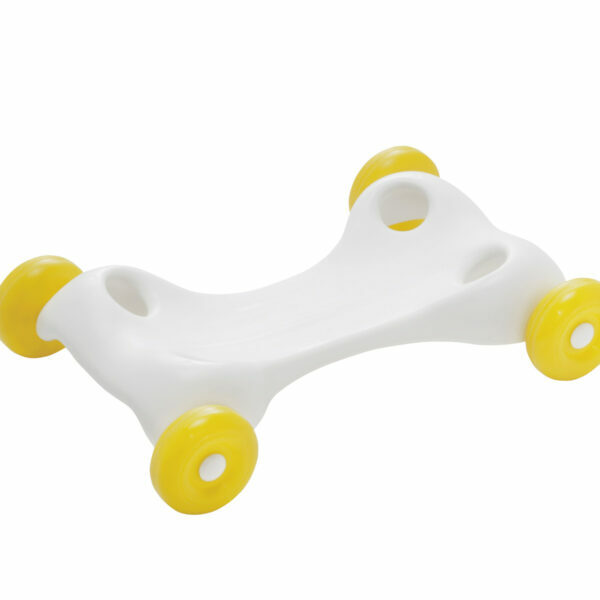 Thanks to the removable bases (Rocking Base and Speedy Base) you can transform your Rody either in a rocking horse or in a wheeled ride-on toy. In this way, you can increase its functions and extend the possibilities of use. 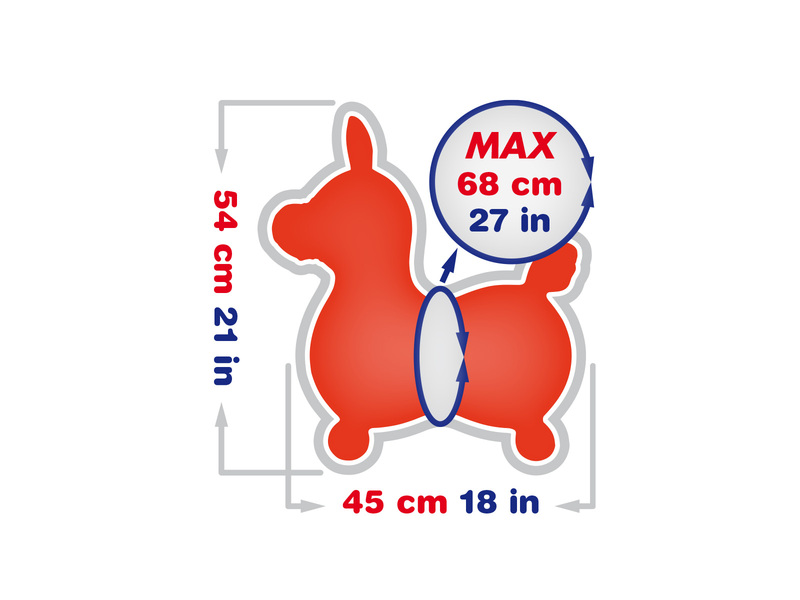 Maximum saddle circumference: 68 cm (27 in). Recommended weight: max. 45 kg (100 lbs) / Tested load capacity: max. 200 kg (440 lbs).